Kal Mebane is an illustrator, graphic designer, musician and art consultant representing his company Enigma Resolve Multimedia LLC, which he has run since 2004. Mainly a colourist but graphic design, music, writing, pencilling & lettering are all creative elements he has added to comic projects. 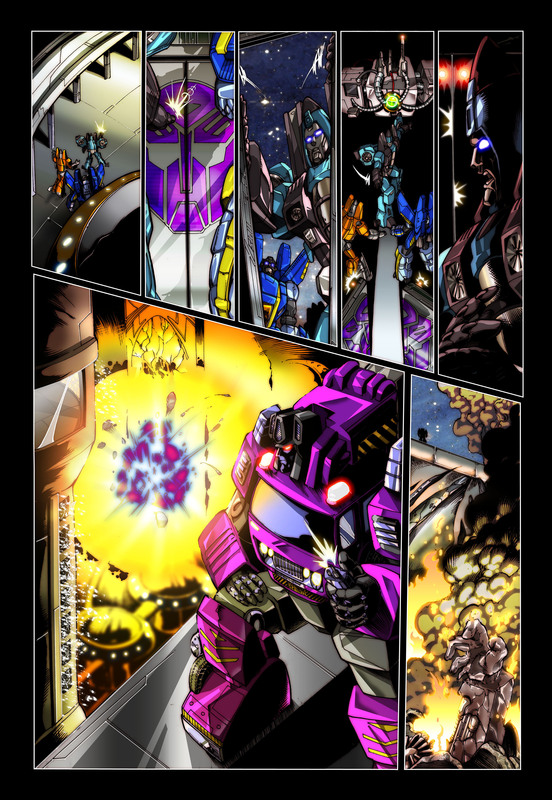 I first started in comics doing editing and pre-press/printing design for the now defunct Tokyo Pop and moved on to be a colorist for various Transformers titles, both professionally and in the fandom. 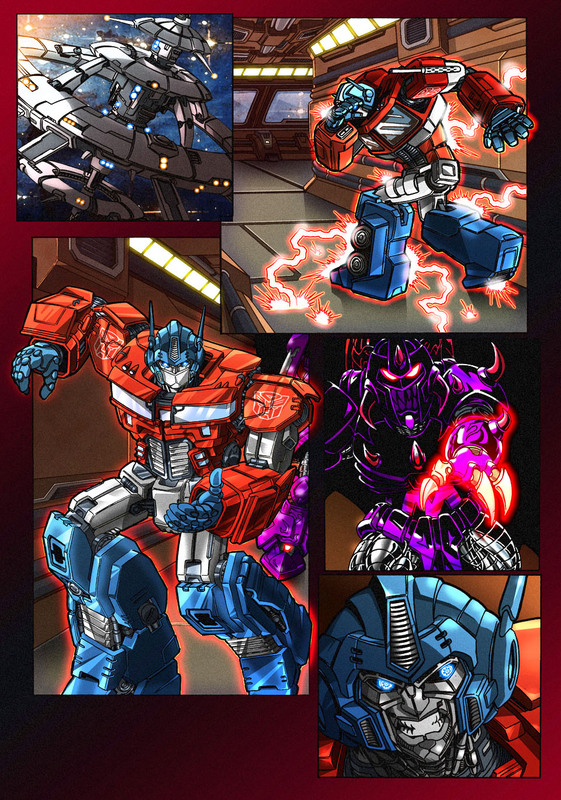 I also did promo and comic work for various Transformers conventions like Auto Assembly. I have my own style but I like to change a lot depending on the job or client. I’m in a constant state of change and I’ve always been a stylistic chameleon. My work looks very different if I’m working on a children’s book as opposed to doing my own comic. Growing up in the 80’s, I was influenced by the animation of the time like HeMan, Transformers, ThunderCATS, GIJoe, SilverHawks, Visionaries, even Jem and the Holograms. As I got into reading comics in the 90’s I followed Jim Lee, Bart Sears and Mark Bright mainly. I loved the Don Figueroa Transformers books from Dreamwave before they shut down. I also enjoy the old John Buscema Conan and John Byrne XMen comics from the 70s. I honestly get most of my inspiration from the older books I named. I’m still on the lookout for new titles but not much catches my eye these days. The few I’ve gotten into were Monstress, the Firefly/Serenity comics, Descender and Tokyo Ghost. I almost never read Marvel or DC books and I’m more of a Dark Horse and Image Comics fan. There’s something more magical and intimate about creator owned stories. Being an indie comic creator allows me to produce my own stories with no consequences or compromises to my original vision. It allows me to be in control of my own destiny. At times, it feels like an uphill battle but once you find your way with the perfect team, it becomes the fulfillment that your soul longs for. I’m working on creating my own IP’s. I have several lined up but the main two comics I’m focusing on right now are Heidinger and Project 45. Heidinger is a sci-fi, fantasy, mystery that follows Jenda, a dragon knight cursed with “The Mark,” who was orphaned as a child when her village was mysteriously annihilated. She must choose between her knightly duties and her personal vengeance to hunt down a dark legend that ties into her village’s slaughter… the Heidinger. Project 45 is a sci-fi space opera about an all female group but I won’t get too much into it right now as it’s still being developed. However, it does reflect more of my 80’s animation influences but with more of a mature edge. I’m enjoying doing more female characters as they are just more interesting to me right now. Outside of my comics, I run my own graphic design/art consultation firm and I’m currently running a new YouTube channel that not only serves as a personal portfolio of sorts, but also produces tutorials, product reviews and gives artists advice about the ups and downs of artistic entrepreneurship. You can catch-up on Kal’s work on the Enigma Resolve website, Facebook & Twitter pages. You can also head over to the YouTube channel for more updates too. This entry was posted in Features, Interviews and tagged Comic Creators Anonymous, Enigma Resolve, Heidinger, Kal Mebane, Project 45 by G-Man. Bookmark the permalink.